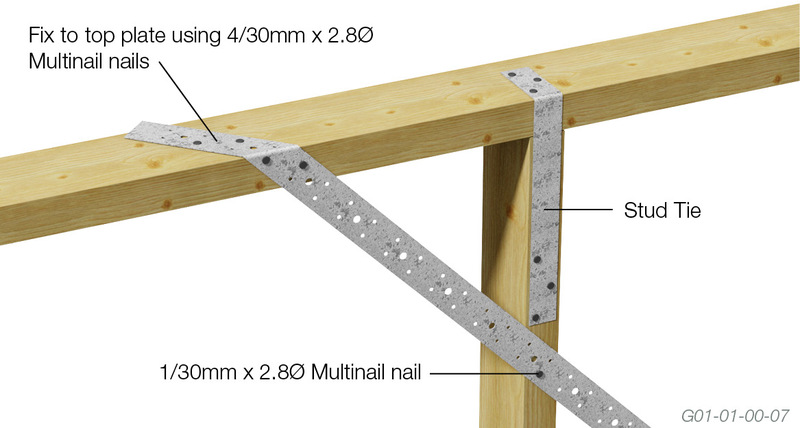 Pre-punched galvanised steel tension brace designed to brace timber wall frames in domestic construction. Very useful in situations where bracing cannot be cut into studs. 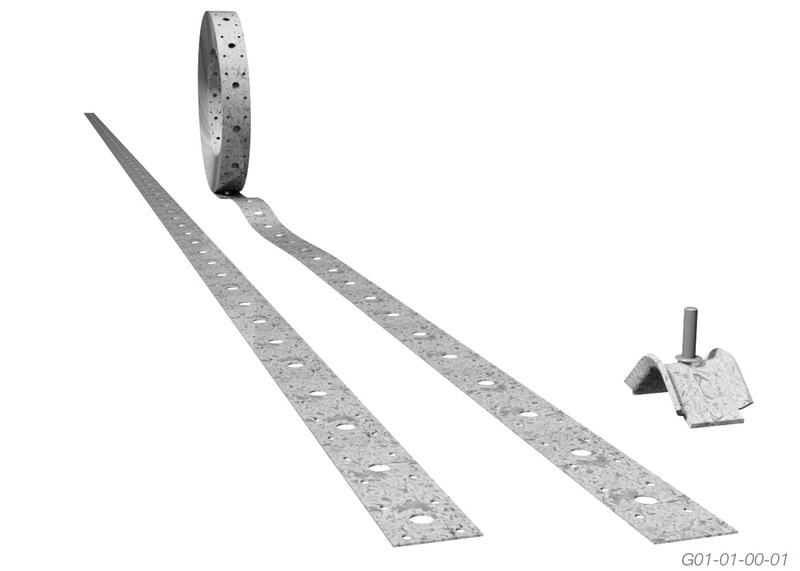 The ideal tension bracing system when used in conjunction with a Multi-Tensioner. 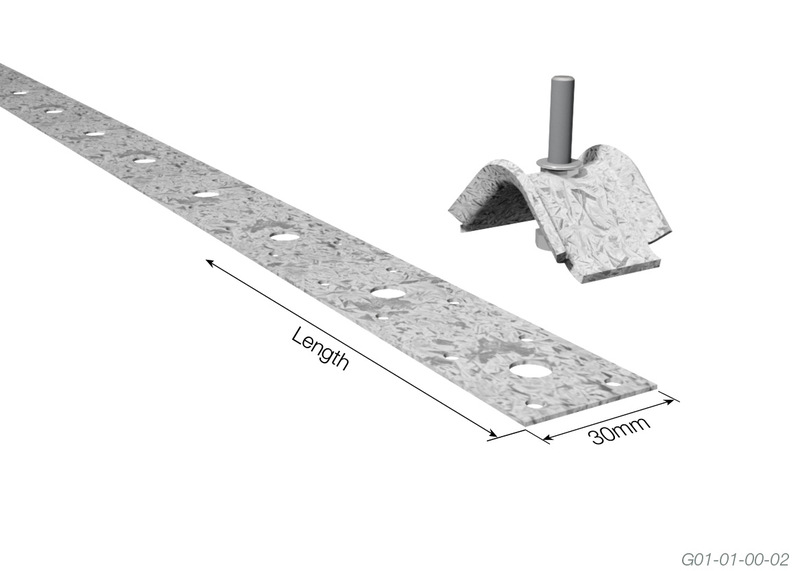 Practical - it helps reduce on-site labour time as studs do not have to be notched! 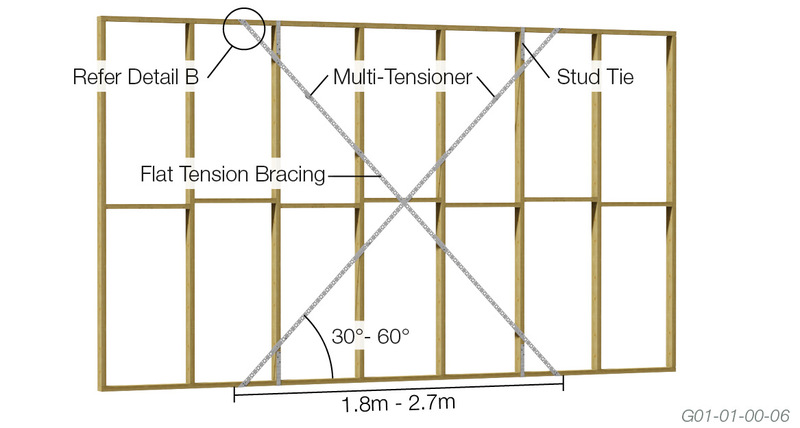 Two individually cut pieces of Flat Tension Bracing are required to brace a timber framed wall section. These pieces should overlap to form an ‘X’. Secure first end of one piece of bracing into position using 30mm x 2.8Ø Multinail nails. 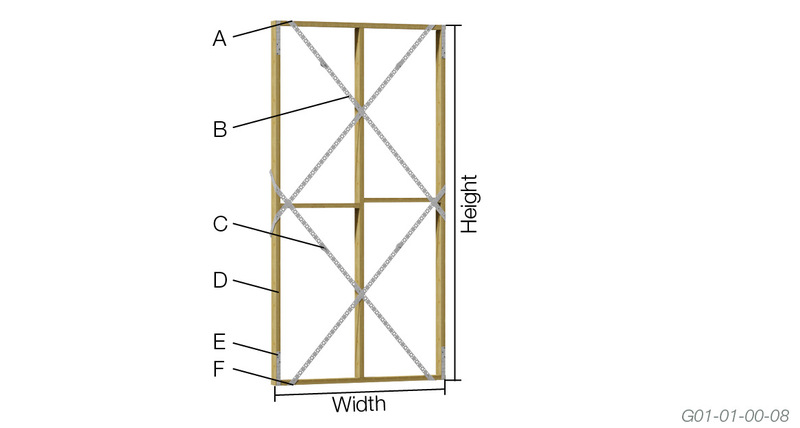 Stretch the Flat Tension Bracing over the entire panel to be braced, ensuring the brace is taut. Repeat this procedure for the second piece of Flat Tension Bracing, ensuring an ‘X’ is formed. NOTE: The 100m Roll requires a special floor-mounted Bulk Coil Dispenser. Please contain Multinail for more information.